A character trait quiz to determine how well students know the character traits. Honesty, Responsibility, Caring, Fairness, Respect, Trust. A great 5th and 6th grade character education unit. 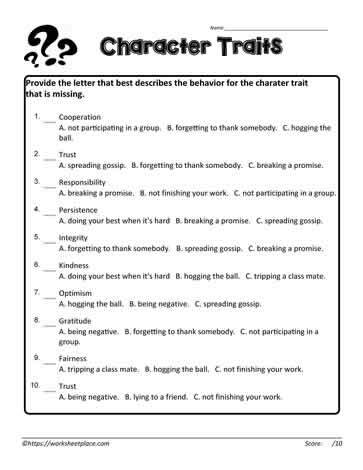 Free worksheets to teach about character traits.